The application period opened on 1 March 2019 and will close on 30 April 2019 at 12:00 PM CET. 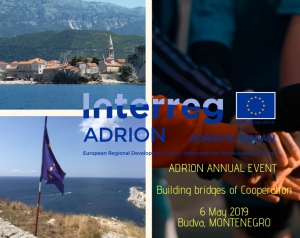 ADRION projects interested in applying to the competition are asked to send to the Joint Secretariat all the information requested by the application form by 12 April 2019. The selection process includes a first selection conducted by the European Commission and Interreg programmes who will select the finalists based on the contents of the 180-second pitch videos. The finalists will have the chance to present their projects on stage in a TED talk style using a story-telling pattern during the Interreg Slam 2019 session at the EU Regions Week in Brussels in October 2019. Interact will organize social media voting to the 3-minute pitch videos of the finalist projects. The most voted video will be awarded “Social Media Award” during the Project Slam, while the ultimate winner will be selected by the live audience through a live electronic voting system. We believe the Interreg Project Slam 2019 competition can be a great opportunity for the ADRION projects to share good practices, increase their visibility and, if selected as a finalist, to present your project to a live audience in Brussels. The 2nd report on the implementation of the EU macro-regional strategies was adopted by the European Parliament, the European Economic and Social Committee and the Committee of the Regions on 29 January 2019. 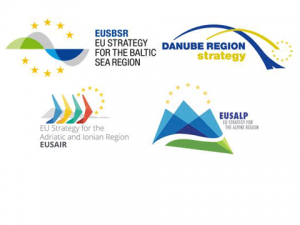 The report aims at providing a detailed analysis on the EU macro-regional strategies: the EU Strategy for the Adriatic and Ionian Region (EUSAIR)the EU Strategy for the Baltic Sea Region (EUSBSR), the EU Strategy for the Danube Region (EUSDR) and the EU Strategy for the Alpine Region (EUSALP). The document emphasizes the progresses concerning policy making and planning, governance, monitoring and evaluation, administrative capacity, internal and external communication. The report further delivers recommendations on priorities areas such as governance, funding, policy programming and communication to indicate how to make project implementation of the EU macro-regional strategies more effective. The document further remarks as an example of project to promote sustainable tourism ADRION 5 Senses which supports the creation and promotion of the ADRION brand name to enhance innovative, high-quality tourism services. ARIEL aiming at setting up a transnational network among small scale fisheries and aquaculture enterprises in the Adriatic-Ionian region. ADRIPASS, a project which aims to promote more efficient maritime -hinterland connections in the ADRION region.